In the era of Technology, Google has sparked out through the different forms of technology which has made the difference in the new era. The search Giant Google has brought up different benefits for all the Android users all over the world. If you are an Android user, Google is the major thin that you would need throughout the operating system. You can easily access Google for different reasons now and then. With the Google Voice Modulation, you can also get to search a lot of things through the operating system. But with all of these, the device might be filled with a lot of cache files and history. Sometimes, because of this long history, the phone might hang up a lot and it would be crucial to delete these messages. 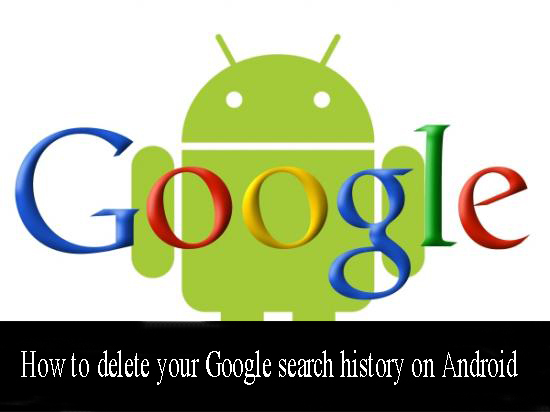 If you do not know how to delete your Google search history on Android, here is a guide for you. Step 1:Clearing the Individual search items is never a tough thing to ask for if you are willing to do it. First of all, you need to open up the Google web browser. You can easily do this by opening the Google web browser and As soon as you can click on it, the browser will open up. You can now connect with the history by opening the history Tab in the Chrome Browser. However there is another way to do it. You can long press the Home Button to open now on Tap. Step 2:From here, you need to tap the search box which will lead you to a list of the recently searched items. A new pop up box will come up. Step 3:Now you need to long press the individual search which you would like to delete. A warning may show up which will ask you if you would like to delete or not! Step 4:Tap the Delete option to make it count and then use it. This will help you to get your needs fulfilled. If you have decided that you have searched for too many things and you wish no other person to view it, then there is also a way to delete history in a bulk. Step 1:he first thing that you need to do is to open the browser window and then navigate to myactivity.google.com. This will lead you to the Google Activity Center. Step 2:The next thing that you need to do is to visit Google Now and then to Settings. Step 3:In the settings menu, you may find different options such as Accounts & Privacy and then to My Activity. Step 4:The next thing that you can do is to select 'Delete Activity by'. Step 5:This will open up a menu that will allow you to delete the things that you need. You can delete all the stuffs including the Assistant Commands, the image searches and the different needs to be fulfilled. Step 6:You can now select the option of the number of days and the click on Delete. This will help you to delete the needs.